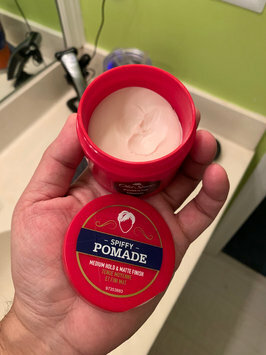 I like this because it's a no-nonsense pomade - it's not the greasy/oily stuff my dad used to have, there's no crazy scents or colors, there aren't dumb commercials that make you believe women are going to gravitate toward you and fall out of trees - it's just a matte pomade for real men. 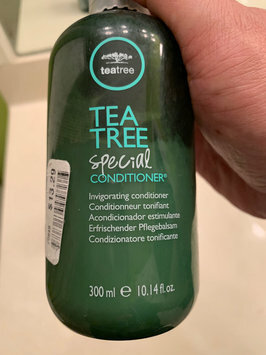 Paul Mitchell Tea Tree Special Conditioner has been a favorite of mine for many years. When I started losing my hair, I panicked and starting using Rogaine and Nioxin conditioner, but the Nioxin dried my scalp out and made it unbearably itchy. I went back to my fave - Paul Mitchell Tea Tree - and the tingling sensation from the tea tree oil and peppermint makes my scalp feel invigorated and alive. It leaves your hair smelling great too! Paul Mitchell Tea Tree Special Shampoo has been a favorite of mine for many years. When I started losing my hair, I panicked and starting using Rogaine and Nioxin shampoo, but the Nioxin dried my scalp out and made it unbearably itchy. I went back to my fave - Paul Mitchell Tea Tree - and the tingling sensation from the tea tree oil and peppermint makes my scalp feel invigorated and alive. It leaves your hair smelling great too! 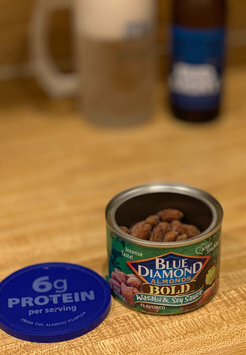 Someone brought a can of Blue Diamond Bold Wasabi & Soy Sauce Almonds to my Super Bowl party, and I couldn't get my hands off of them - I almost finished the entire can! They've got the perfect amount of wasabi flavor to give it a slightly spicy kick, which I thoroughly enjoy. I'm not a kid, so I don't need my cereal sugar-coated or with pieces of sugary marshmallows or bits of candy. But I *do* enjoy a little flavor or sweetness in my cereal, and Honey Nut Cheerios has just amount of sweetness to the whole-grain oats. Plus, it may help lower cholesterol - who doesn't want that? I love Special K Kellogg's Fruit & Yogurt Cereal because it's not just boring cereal flakes - I need some flavor in my cereal, and Kellogg's Fruit & Yogurt Cereal delivers that with crunchy yogurt-covered pieces of fruit. My perfect breakfast is a large bowl topped with some ice-cold milk... or sprinkling the cereal on top of a cup of yogurt! I really enjoy Special K Kellogg's Red Berries Cereal because it's not just boring cereal flakes - it packs a punch of flavor with the crunchy, fruity berries! My perfect breakfast is a large bowl topped with some ice-cold milk... or sprinkling the cereal on top of a cup of yogurt! 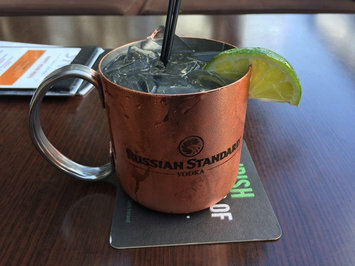 This is the house vodka of many bars I go to, so I've had hundreds of Standard & sodas and Standard Mules. When you see the bottle, the Cyrillic writing on it invokes images of Mother Russia, which makes you feel that you are drinking a true Russian vodka. This is my go-to vodka if I'm drinking martinis or vodka on the rocks. Tastes great by itself - I'd never use it to mix with O.J. or bloody mary mix - leave that to the cheaper vodkas that you don't want to taste straight. Keep your Grey Goose for neat, on the rocks, and even martinis.